Langoor has appointed Vijay Shenoy as Senior Vice President, Strategy and Business Development. Vijay Shenoy had previously enjoyed a fruitful stint with Langoor after which he was associated with WATConsult, as their AVP for Southern region, before his reappointment. 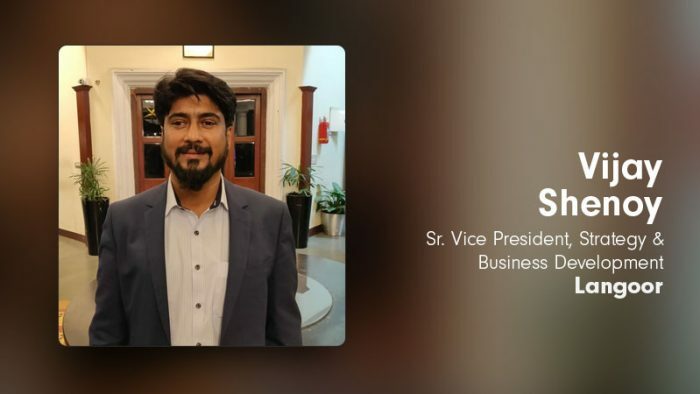 Shenoy brings with him more than fourteen years of experience in the digital marketing industry – developing deep insights, building brands and understanding the art of decoding human behaviour. During his earlier association with Langoor, Shenoy was responsible for new avenues of business growth, apart from leading their design and innovation practice. In his last stint with WATConsult, Shenoy spearheaded new business initiatives and managed existing client relationships including their strategy and delivery.